In early 2016, our team at Circular Board launched the world’s first digital accelerator for female entrepreneurs and quickly saw that there was need to provide more women with access to mentorship, capital, and community that works specifically for them. Traditional incubators and accelerators are often inaccessible for women because they require an in-residence program that is not feasible for many moms and caregivers. Women are also more likely than men to start their businesses while they are still employed full-time outside of their entrepreneurial ventures. Add in the fact that women founders receive only 3 to 7 percent of venture capital, are featured in only 7 percent of media stories on entrepreneurs, and that there was a clear opportunity to better serve this group of founders by creating a revamped, more inclusive startup ecosystem. The Circular Board Accelerator has graduated 275 founders in its first 18 months and was named the fastest growing accelerator for women and minorities by Fast Company. During that period accelerator cohort members raised $28 million in capital across six continents. Circular Board has also engaged a community of 13,000 women through digital and in-person content, programs and events. This success and demand was motivation to think bigger — how can we scale the accelerator model so that millions of women worldwide have access to personalized knowledge, tools, community and mentorship? The idea for Alice, a digital startup advisor to women founders from all over the globe, was born from an imperative to help as many female founders grow their businesses as possible. Built on an existing commitment to support growing businesses, Dell grabbed a leadership seat at the table to lend its expertise, capital and innovative spirit to create Alice. Pivotal also joined the Alice project to develop and deploy Alice’s software in just over three months from concept to launch in May 2017. Today, Alice serves as a digital startup advisor to women founders from all over the globe, from diverse industries and from idea to exit. From the very earliest stages, our team made it an imperative that Alice not just be “painted pink,” in a half-hearted attempt to appeal to women. If we were going to build something from the ground up, Alice would need to be designed specifically for women — the way they learn, how they interact and how they make decisions. In partnership with Pivotal, the team behind Alice conducted extensive research on the behaviors and attitudes of users before, during and after the product design process. More than 100 interviews with women founders and thousands of hours of research and testing were completed to validate the idea of an AI advisor for women-led startups. 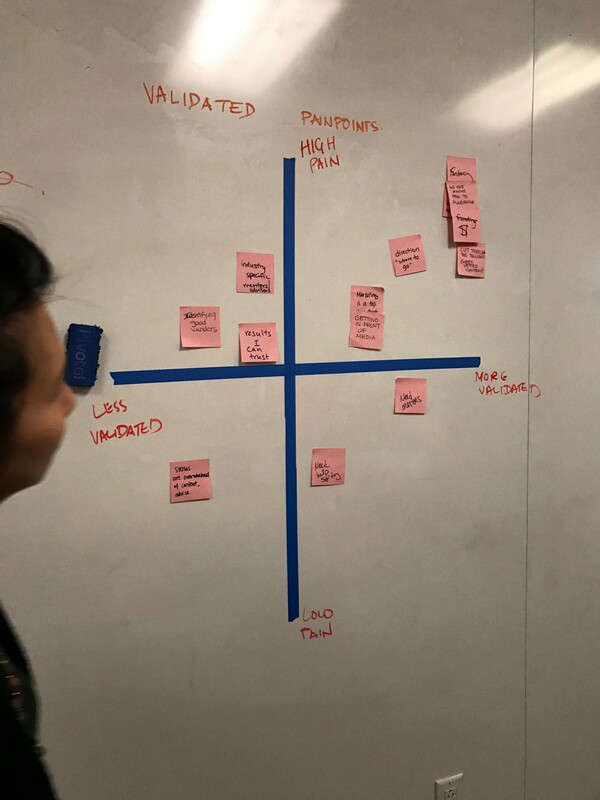 A pain point exercise the Circular Board team did at Pivotal’s office in San Francisco in January 2017. From the early days of development, the team of UX designers and developers worked to create workflows that primarily consider the user’s needs based on the research findings, the meta experience with the service and the micro-interactions that result in a good user experience. We designed for the future of the product, while focusing on the immediate minimum viable product. The insight has shaped everything from Alice’s user flows to its data structure, contrasting “what people say” versus “what people do.” Alice isn’t simply a pink version of a resource hub; Alice is fundamentally different and aims to solve the needs of women entrepreneurs by making networking easier, research more efficient, and growing a proven community. Easier said than done — we know. It’s incredibly easy to make mistakes by unintentionally interviewing the wrong audience, writing biased questions or committing a number of other inadvertent offenses that will skew results and lead to a false conclusions. The team was extremely intentional in designing the research process and testing again and again with users from the target audience (women founders with companies from early stage to Series A). The user interface in Alice is iterated upon the findings from practices like participatory design, ethnographic field studies, and A/B testing to create an enjoyable experience for repeat users. Women think, learn, ideate, network, and communicate differently than men, and as technologies evolve, they are attracted to different models of interaction. Alice takes into account some of the deficiencies seen by women in traditional networking and resource searches, while also building upon the results of existing studies conducted by respected organizations, including the Kauffman Foundation, the U.S. Small Business Administration, and American Express OPEN. With historically different ways to succeed and achieve growth, we’ve modeled the steps of using Alice to match the patterns we noted in the real world, including building collaborating learning environments, asking questions versus making statements and connecting users to relatable role models. It should prove to be a much more intuitive and low-stress experience for all users, regardless of gender. In addition to recommending curated resources to the individual user based on their profile, Alice is also constantly learning about the entrepreneurs she advises by collecting data about the user’s goals, needs, resource ratings, and behaviors. For example, if a user rarely clicks on “events” but seems to be very interested in tools that help develop a marketing strategy. This data is then filtered by demographics that include age, gender, industry, location and stage of growth. In the near future, Alice’s recommendations and predictions will come from a diverse set of data points to provide the most personalized experience possible. Let’s take a peek at how this will work in action: Alice will be able to match female entrepreneurs with female-friendly investors based on statistics from both sides, as well as considerations for minorities and other groups. Not only we will be able to match women with investors who have a propensity for investing in women-founded businesses, but we will also match them with investors who have a strong history in their particular markets. Let’s say you’re the founder of an early stage fashion company in Seattle. Alice will be able to connect you to pre-seed and seed stage investors interested in fashion companies outside of New York City. The efficiencies created will minimize wasted time, talent, money, and — ultimately — frustration. Alice’s machine learning algorithms will make observations based on a very large number of use cases and be able to detect patterns like this one, and the many others that will emerge. As Alice gets more users that use the platform, the algorithms will make more observations and become smarter. Teams that make products must take into account the preferences of different audiences and how their product can help these audiences — especially underserved ones. Women can have a huge impact on a product’s success. Alice is a prime example of targeting a female audience while being inclusive of everyone’s needs. The inclusion of women in Alice’s stated goal and mission will help us focus and continue to build the best product. 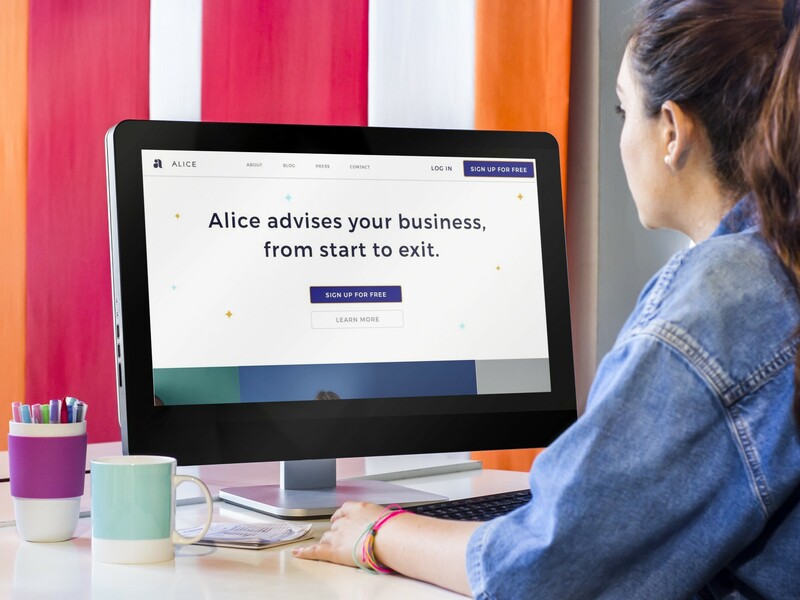 If you’re an entrepreneur or investor, you can help your own business and help make Alice smarter for future generations of entrepreneurs by checking out Alice today.